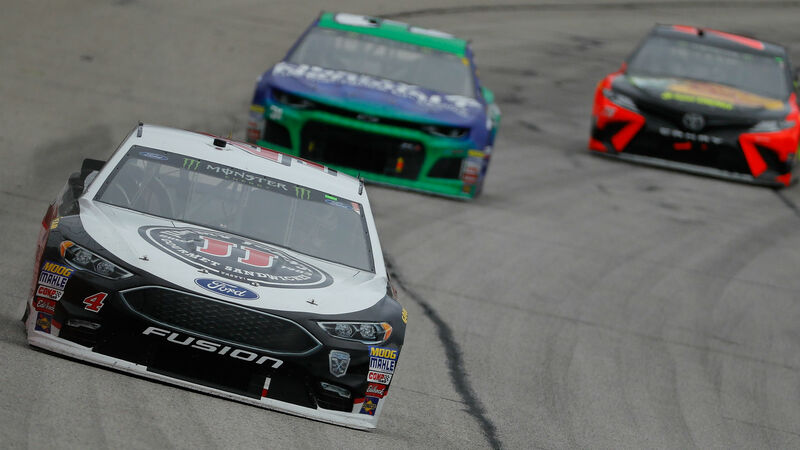 NASCAR heads into the second round of the 2018 playoffs starting off at “The Monster Mile” at Dover International Speedway in Delaware. The one-mile concrete track in Delaware has high banks and multiple grooves similar to Bristol’s half-mile layout but with high-banked straightaways. It’s a track NASCAR’s best drivers love and it’s a race one of the top drivers will likely win this weekend. No non-playoff driver has ever won the fall race at “The Monster Mile” and when looking at the numbers, it’s easy to see why. Playoff guys simply always do well here. Starting with Kevin Harvick who won the race at Dover in May, he has tthree wins in his last seven races in Delaware and five top-10 finishes to go with it. Kyle Busch has had similar success with a win and four top 10s in his last eight runs there. Martin Truex Jr. who was mere feet away from victory last week in Charlotte, has a win and eight top-10 finishes in his last nine in Dover and Brad Keselowski has two wins and six top 10s in his last nine on the mile. The best will be at the top this week and look for Keselowski to get the victory again this week. He has three wins in his last five races and was in the lead until the final laps in Charlotte last week. He’s driving well and he loves the course, look for him to take advantage of it. The Gander Outdoors 400 is scheduled for 2 p.m. ET Sunday and can be watched on NBCSN. What are the betting odds for Dover? Which NASCAR drivers are best for your fantasy lineup at Dover? Chase Elliott is coming off of his worst career finish at Dover in May. When you learn that is 12th place, it tells you just how good he’s been there. Elliott has run five career races on the mile, and before his 12th in May, he had never finished outside the top 5 at Dover. He also has two top-6 finishes on the Xfinity circuit in two attempts and a fourth place in the truck series. Daniel Suarez has as good or better of a track record at “The Monster Mile” than Elliott. He has finished outside the top 10 just once between NASCAR, Xfinity and the truck series. He finished third at Dover in May and has finished in the top 6 in each of his runs in Delaware as a NASCAR driver. Kyle Larson may not have a win at Dover, but he is well positioned to earn one this week. In nine career NASCAR races there, Larson has seven top 10s and four top 5s. He knows his way around this track. Jimmie Johnson cost Martin Truex Jr. the win at Charlotte, and while that stinks for Truex and was a bit of a black eye for Johnson, it distracts from the fact Johnson drove well and his car did great, too. He has 11 career wins at Dover and four in his last 10 runs on the track. He has finished outside the top 10 just twice in his last 10 runs at “The Monster Mile.” His week could go very well.